It's definitely been a while, but I'll keep this short and interesting. They have limited traffic, and seem to cost more than usual text-based ads. Basically, Call-Only ads on Google Ads are simple to make, but under-perform. So what is the problem that MANY marketers have discovered? Text ads seem to completely dominate search traffic impressions. Text ads seem to completely dominate search traffic impressions (column on the far right). I don't know why Google does this, since most smartphone users can make phone calls. You will get more phone calls to your Business, Offer, or whatever else you are promoting. So the challenge Is creating Smartphone Ads that act like Call-Only ads. So when a user taps on your ad on their smartphone, they are led into a phone call, INSTEAD of a website. Thus, you can now get MORE traffic and impressions, and make more money. How Is The Call Quality & Results? 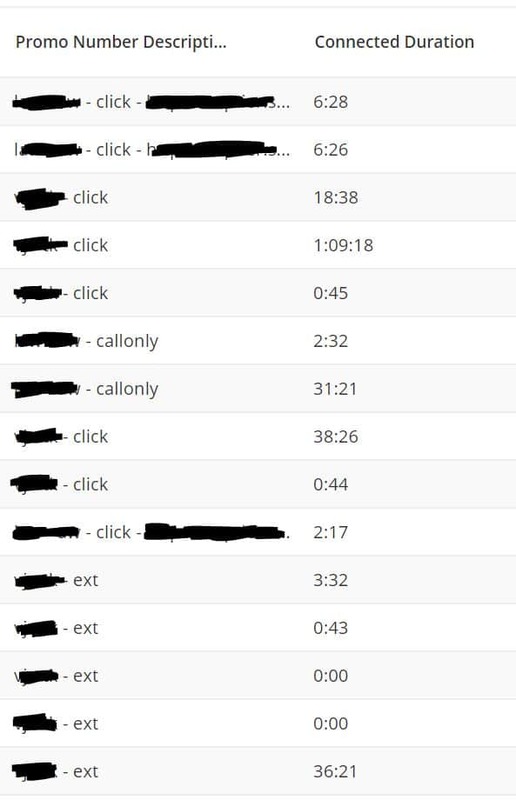 As you can see above, all ads now function as Call-Only ads, and even Click-2-Call-Only ads perform well. You will see a semi-blank page on your desktop. So How Do I Convert ALL Ads to Call Only Ads? I decided to write a post detailing how this is done, as well as including the tweaks that will avoid your ads from being disapproved by Google Ads. You get immediate access to the forum, AND a membership to learn how to run Pay Per Call Marketing. See you inside, and feel free to ask any questions. Purchased the pay per call Mastermind and still have no access. The links you sent me will only take me back to the signup page. Not sure what to do. Can someone please get in touch with me and let me know how to proceed please?